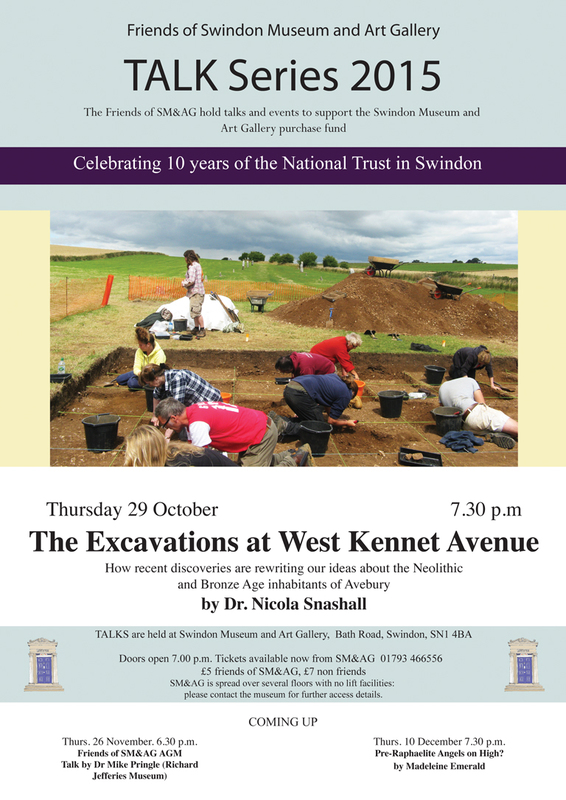 Lots of people are looking forward to Dr Nick Snashall's talk on the recent excavations at West Kennet this Thursday 29 October starting at 7.30pm; doors open at 7pm. When a friend suggested yesterday that we take advantage of the mild weather and glorious sunshine by taking the bus to Avebury, I thought this was an ideal thing to do, and when we arrived, rather than walking round the stones, I thought we could look for disturbed ground where the dig might have taken place, we walked down the avenue, and finding no excavations, looked at the map kindly provided and thought we'd turn right and walk to the top of the hill on our right so we could see Silbury Hill close up. There's a bit of an odd effect, taken into the sun, the sky appears white, although Silbury Hill looks good, below there's another view from the top of the hill. From where we stood, we could also see lots of people walking in the distance to what appeared to be a section of raised ground on a hill; we walked over to it, and discovered we'd reached West Kennet Longbarrow which despite visiting Avebury many times, we'd never been to see. 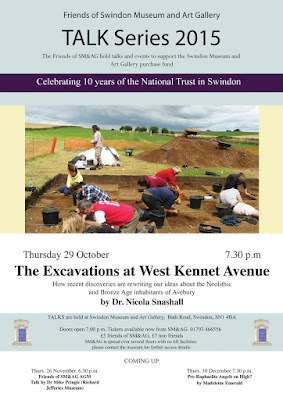 We walked back alongside a river bed until we reached the road opposite the National Trust car park entrance, and went to the museum at Avebury Manor to ask about where the 'dig' took place, and discovered that we must have walked right beside where the excavations took place, there was no sign of soil disturbance, which I'm sure is intentional. I've included a photograph of this lovely house where you can stay in Avebury because it's so beautifully balanced.